Growing up, I loved all kinds of animals, but I’ve always felt especially drawn to these gentle giants. They are intelligent and social, soft but protective, statuesque yet unostentatious. After I graduated from college (bear in mind this was almost a decade ago! ), my friends and I went on a trip to Phuket for some R&R, and somehow found ourselves at one of the “cultural theme parks” there. The theme park has one of the largest shows in Asia with trapeze artists, pyrotechnics, and of course – performing animals. The minute we sat down I could feel my heart sink. What had we gotten ourselves into? As soon as I saw the elephant trainers force them to stand on their two front legs it hit me and I just couldn’t stomach what was to come: I had to get the hell out. To this day, I still deeply regret patronizing that establishment. But look – I am not here to lecture or preach. Without sounding too cliché, the more you know the better equipped you are to make a sound decision, one that’s right for you and your family. 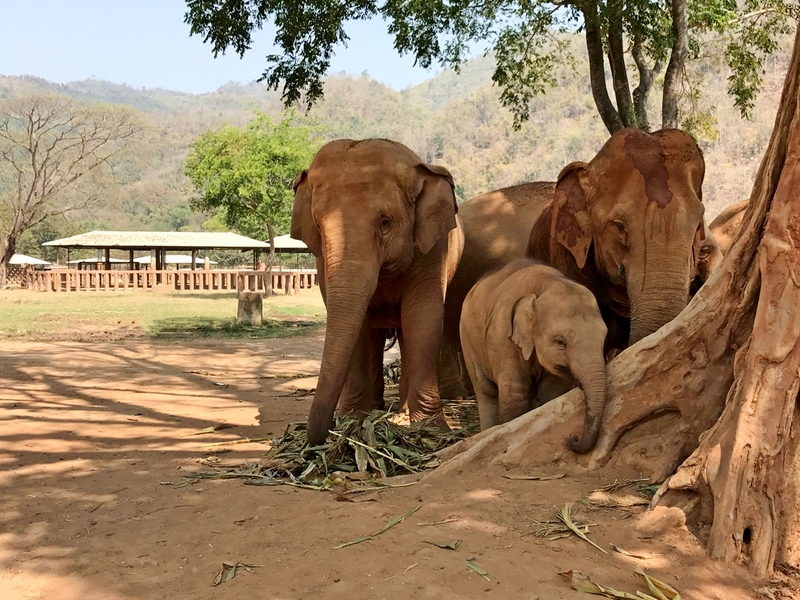 There are so many wonderful places around the world where you can support and nurture the growth and survival of elephants, and I would encourage you to look into all the different options. I will say this though, I have since visited the Yala, Udawalawe and Kaudulla National Parks in Sri Lanka and witnessing elephants in their natural habitat is pretty darn incredible. 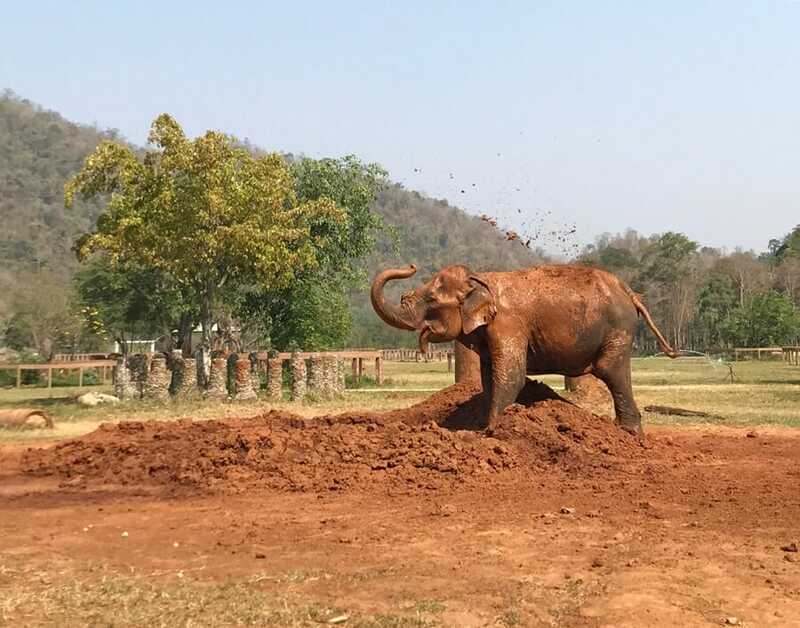 I also finally visited Elephant Nature Park in Chiang Mai, a rescue and rehabilitation centre, and absolutely loved the opportunity to spend some quality time with elephants that had been rescued from street begging, the logging industry, circuses and riding camps. There are some great articles that I’ve linked to below from travel bloggers who have taken the time to share their experiences at some of these places, and the World Elephant Day website is another fantastic resource for information on foundations, trusts and projects dedicated to elephant conservation, protection, research and education! Love and want to contribute to the well-being and conservation of elephants? Here are a number of ethical elephant sanctuaries, orphanages and wildlife parks around the world that you should visit ASAP! 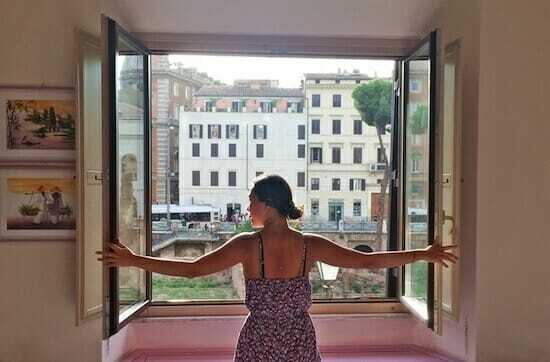 A big thank you to the Instagrammers below who were kind enough to let me share their photos! I encourage you to take a look at the rest of their Instagram feeds for more beautiful pictures. Visiting Chiang Mai? Click here for 10 things to do in Chiang Mai that don’t involve riding elephants or petting tigers! Sri Lanka’s biodiversity is one of the highest in the world. Click here for everything you need to know to plan your trip to Sri Lanka! Did you know that you can visit Nagarhole National Park from Mysore? Click here for my guide to visiting Mysore to practice Yoga! 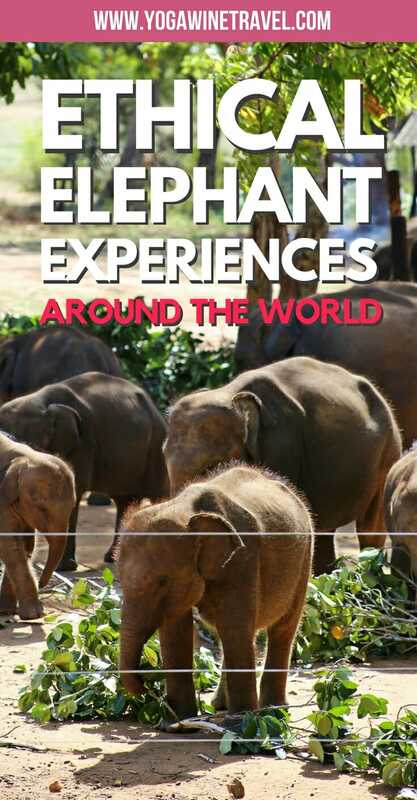 Have you visited an elephant sanctuary, orphanage or wildlife park that you loved? Please share your experience with me in the comments section! WOW this is amazing and such a great idea! I definetly bookmarked your blog and will be coming back often in the future to check out all your new and awesome ideas! I really can’t express how much I love this enough! So glad you enjoyed the post, Sophia! Happy World Elephant Day! OMG me too! Maybe we should plan to meet in Chiang Mai! Beautiful pictures. I rode an elephant years ago when I first went to Thailand and before I knew any better, but it breaks my heart to see people doing it now. Posts like this are so important to show people how much more majestic elephants look in the wild without the chains and bull-hooks. Great write-up! Thanks so much lovely! I had a lot of fun putting this piece together. I have also ridden on elephants before and I just didn’t have any clue about the process behind “taming” the elephant. I’ve also seen the swaying action that a lot of elephants exhibit when they’re chained up from birth, and it just breaks my heart. Have you seen that people have been staining an elephant’s tusks to render it useless to ivory hunters? I hope it continues and works! Great post! Drawing attention to issues like this in tourism is important. I have bookmarked some of the blog posts you linked to so I can read more! I’m so glad you enjoyed the post, Courtney! I think it’s so important to arm ourselves with all the information we can before making a decision about where to spend our money. Thanks so much for taking the time to read through, Samantha! I think most of the time it comes down to a lack of awareness. In the past, I too have ridden elephants because I just didn’t have any idea about the cruelty behind the practice. Hopefully we can do a small part in increasing awareness on the issue! I’m excited to find another blogger who values ecotourism! I used to love going to zoos and places like that until I realized the traumatic lives these animals live. I’m definitely doing more research and gaining awareness in the activities I participate in when I travel. Thank you for taking the time to read through, Brooke! I think it’s all about research and awareness – hopefully we can encourage people to make an informed decision! Thanks guys! Honestly Instagram is where I turn to for my travel inspiration so it only made sense! I would definitely recommend that you check out the rest of these IGers’ feeds! 🙂 Have fun in Chiang Mai, I would love to hear how your visit goes! That’s exactly how I feel too! I wish I had read up on the issue before I spent my money there. Kim, that’s exactly why I haven’t been to Pinnawala! Super mixed reviews. You should look into Minneriya, Yala or Udawalawe National Parks if you want to see elephants in their natural habitat! This is awesome, I’m actually hoping to go volunteer at the Elephant Nature Park in Chiang Mai later this year. Oh fantastic! Let me know how that goes – everyone I know who has been there has nothing but great things to say. Thanks for taking the time to read through, Kana! Elephants are such an important species for so many reasons, I just hope we can collectively do something to raise awareness about their treatment! What magnificent photos of the elephants! Great collection. These are such special creatures it is a shame only now people are waking up to the harm that is done through some tourist operations though. They are such beautiful animals. Thanks for taking the time to read through, Juliette! I feel like elephants have such emotive eyes. I just hope that collectively we can do something to raise awareness about their treatment! I’m going to the elephant sanctuary in Chiang Mai next April for my 21st and I can’t wait! 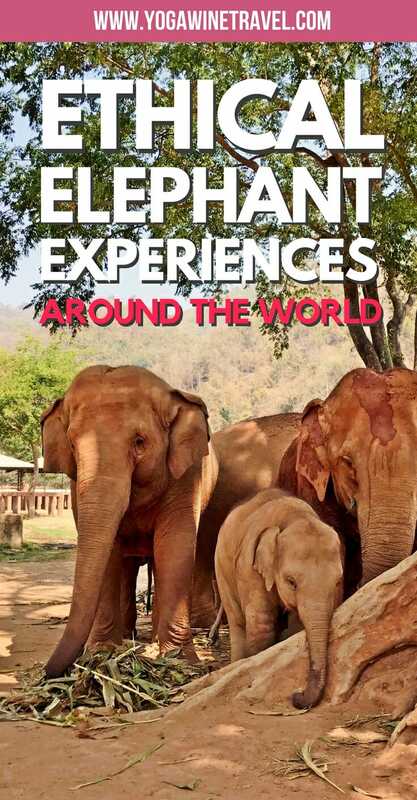 Thank you for sharing this post, I think it’s super important that people realise how damaging tourism can be to elephants, and that there are places you can see them without harming them!! Thanks for sharing this! I’m starting to become more mindful and I wish there were more people like you in the world who talk to people and educate them instead of giving a holier than thou attitude. (Believe it or not, someone did that to me!) We all make mistakes when it comes to animals, (myself included) but it’s good to learn and get the message out there. I remember going to the circus as a kid and crying because I felt so bad for the animals. I think if you’re going to travel, be responsible. Don’t add to an animals torture. I need to get me one of those shirts! I’m heading to Asia and wanting to volunteer with Elephant Sanctuaries but I’ve read of so many scams! 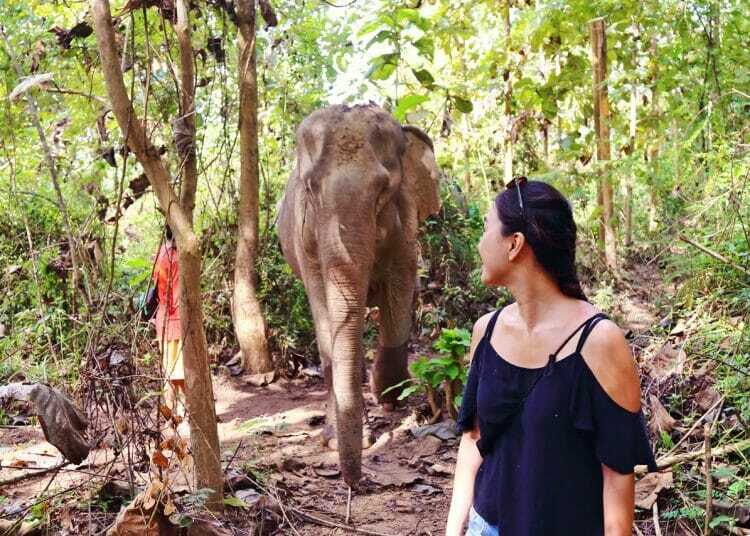 I really enjoyed my time at Elephant Nature Park so that’s one to look into! Yay! I just LOVE this! I accidentally ended up in a place with unethical animal treatment as well, but got out as soon as I could. Instead of beating myself up about it, I always do a TON of research now before I go anywhere involving animals. Thank you for this amazing list. I hope I can visit them all some day! It’s all about awareness and having all the facts! I have yet to go to a “turtle sanctuary” because I’ve read SO many mixed reviews! Loved this post 🙂 I’m 100% with you: drawing attention to issues like this in tourism is so important ! I rode an elephant years ago when I first went to Nepal…¨but elephant riding seems like a no brainer now. We all make mistakes when it comes to animals, (myself included) but it’s good to learn and get the message out there. Gorgeous pictures collection of these beautiful giants ! Thanks for sharing. I am like you an elephant lover. 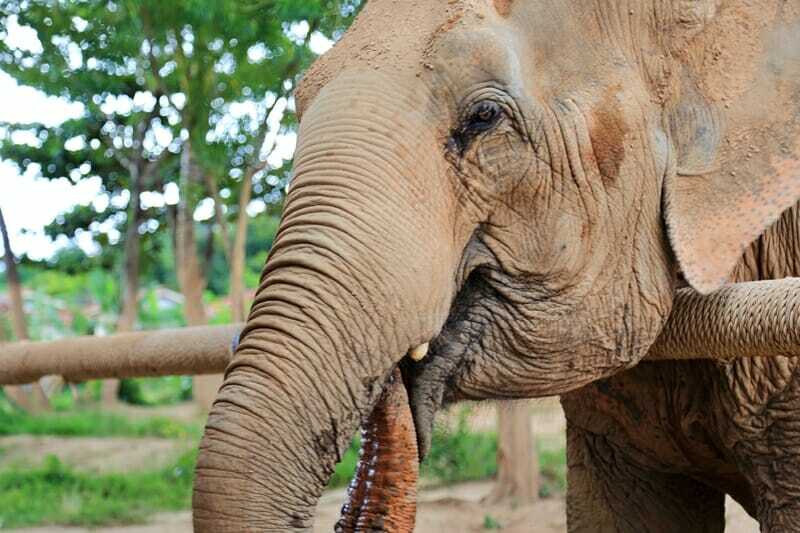 We have also been to Elephant nature park in Chiang Mai. It is incredible important what they do there. We have been to the orphanage in Nairobi. A little bit touristic, but they do good work. We have seen many elephants in Kruger NP and Addo elephant park in South Africa. Also Kenia and Tanzania has good NPs. We are going to Sri Lanka in August and there are still a lot of elephants used for working and tourist industry. I will not go to the Pinnawela orphanage we go to the Elephant transit home. And offcourse the best thing is to see them into the wild! What is your experience how Sri Lanka people treat the elephants? 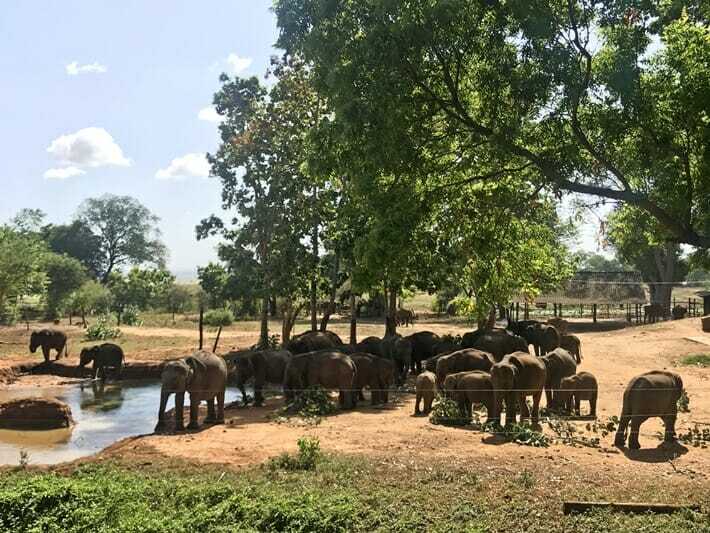 I have never been to Pinnawala as I’ve heard that there is mistreatment of the animals there, but I have heard that the government is hosting a training program to help the mahouts learn how to better care for the elephants. The elephants in the national parks look as they should – wild. Elephants are still used in religious processions and festivals in Sri Lanka, and some temples will have “resident” elephants chained on temple grounds. Unfortunately this is still common and a truly sad sight.